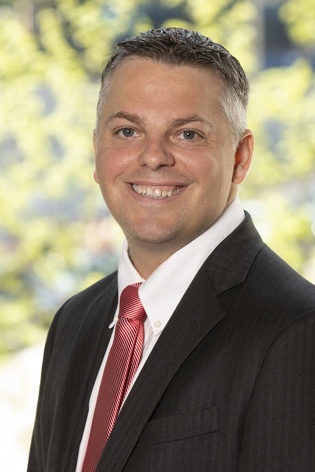 Matthew has practiced at Laner Muchin his entire career, joining the firm as an associate in 2011. Matthew has an extensive employment litigation practice, defending lawsuits in federal and state courts, representing both private and public sector clients. Matthew litigates cases involving discrimination, harassment, and retaliation claims, FMLA and ADA claims, Section 1983 and United States Constitutional claims, Illinois Whistleblower Act and common law retaliatory discharge claims, and common law claims, such as defamation, tortious interference with contract and civil conspiracy claims. Matthew has a concentrated wage and hour practice, which includes litigation of complex class and collective actions, representing employers in audits conducted by the United States and Illinois Departments of Labor and performing wage and hour compliance audits. He also litigates and provides counseling on issues involving wage garnishment, overtime, minimum wage, bonuses, tips and commissions. Additionally, Matthew has extensive trial experience in both bench and jury trials in federal and state court, which has included delivering opening statements and conducting direct and cross examinations of key witnesses. Matthew also counsels clients, on a near daily basis, on a broad range of employment issues. Matthew represents clients across a broad range of industries, and he has extensive experience working with clients in the restaurant and hospitality industries. Leading Lawyers “Emerging Lawyer” recipient, 2015, 2016 and 2017. This distinction is awarded to the top 2% of lawyers under age 40 who have been practicing law for less than 10 years. Litigating wage and hour collective and class actions, as well as single plaintiff actions, in federal and state courts. Trying collective action and single plaintiff wage and hour cases in federal and state courts, in bench and jury trials. Defending employers in discrimination, harassment and retaliation matters before federal and state courts and administrative agencies. Defending employers on claims brought under the ADA and FMLA. Litigating cases involving claims brought under the Illinois Whistleblower Act, common law retaliatory discharge claims and First Amendment Retaliation claims. Defending employers undergoing regulatory audits regarding their wage and hour practices. Conducting workplace investigations of alleged harassment, retaliation and discrimination. Providing employment counseling advice to a wide range of clients, including advising clients with regard to new hire issues, restrictive covenants, wage and hour issues, discrimination, harassment and retaliation allegations, discipline and discharge, and paid sick leave. Drafting Employee Handbooks and related employment policies. Drafting agreements containing non-compete, non-solicitation, and non-disclosure provisions, and other restrictive covenants. Providing training to owners, executives, managers and other employees on a host of employment-related topics, including wage and hour issues, new hire and interviewing, background checks, leaves and disabilities, discrimination, harassment, retaliation and effective documentation/discipline practices. The 2019 Polar Vortex – Were Employees Required to be Paid?